Okay, was waiting for the Skeletor turn but the Shazam twist was very nice. Am I the only one who feels satisfied by this death? 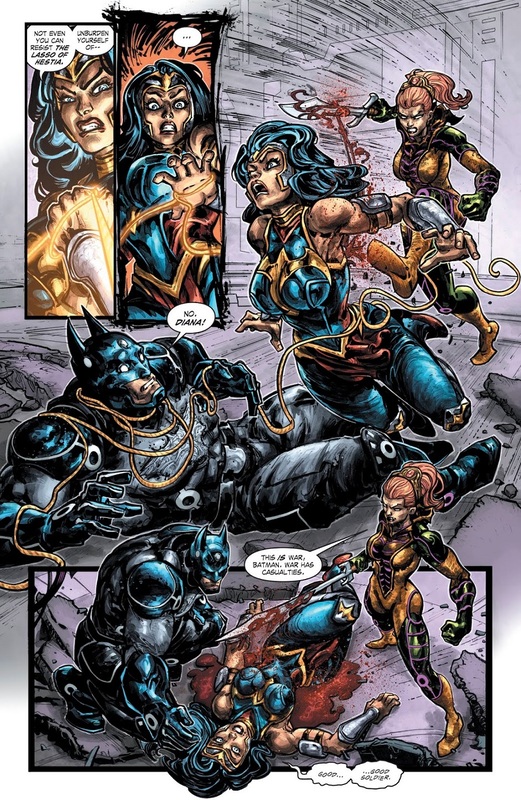 Injustice Wonder Woman always seemed to be rotten at the core in most of her appearances. It was shown this world's Diana was darker. A key bit was that in this world, she finds out Steve Trevor was a Nazi spy and that clearly influenced her down the road. When he says the name, does he get the strength of Hordak? It's a start. Instead of Steve drawing her to the virtue to be found in the rest of the world, he encourages Diana to strike out against her sisters, then deceives her. She's effectively starting from a much different place. 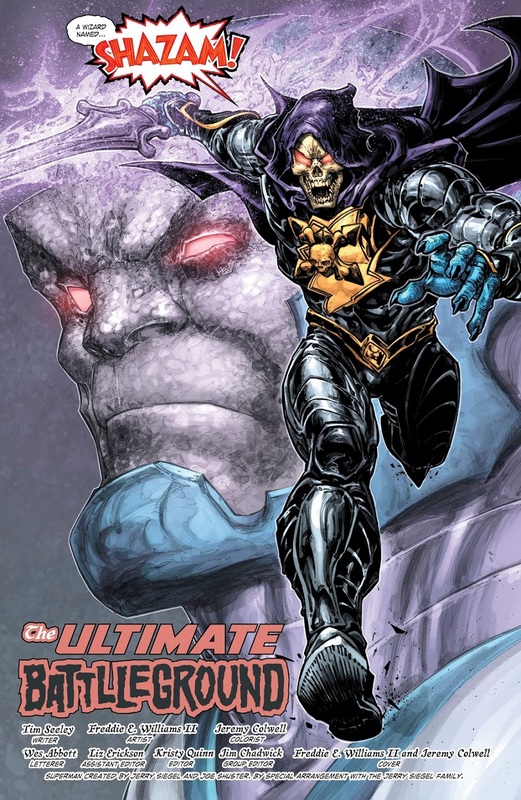 In addition, the Injustice universe is one where Lex is a good guy from the start and Brainiac didn't show up at all until after the Regime. Diana's convictions were never tested in quite the same way, the same way Superman's never were, so a shocking enough strike against them was enough to make her fall. That's a common mistake folks make, thinking the divergence point was Metropolis nuked and Superman killing Joker. 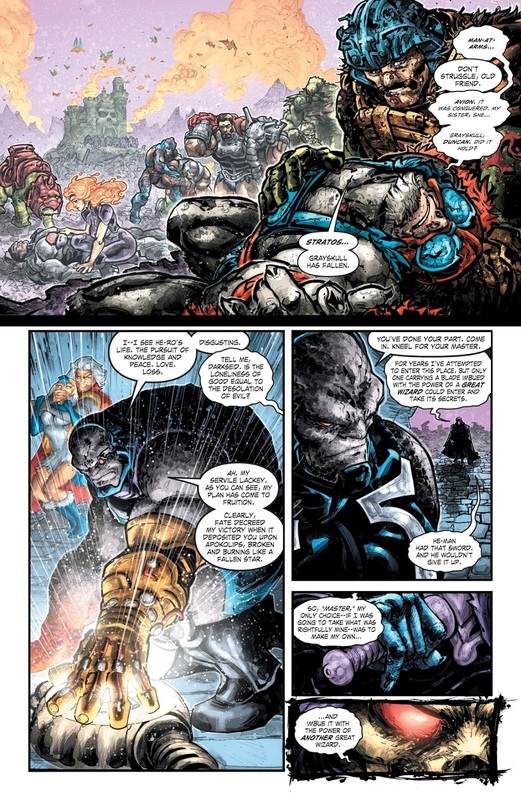 As the comic shows, the differences were already set in place. And as you noted, the Steve turn means a Diana who sees Man's World in far worse terms. She may have been shifted a bit by Superman, Batman and the rest but all too easy that when Superman starts to take over, Diana is convinced this "weak and corrupt" world needs his "guidance." Oooooooh a modified version of Frank Langella Skeletor quote to Darkseid? SWEET! It's been a while; which lines? 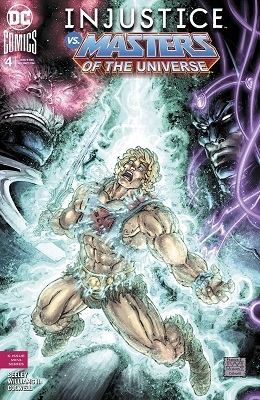 When Skeletor had become the Master of the Universe and had He-Man at his complete mercy, he posed the question to his arch-foe "if the loneliness of good was equal to the loneliness of evil." 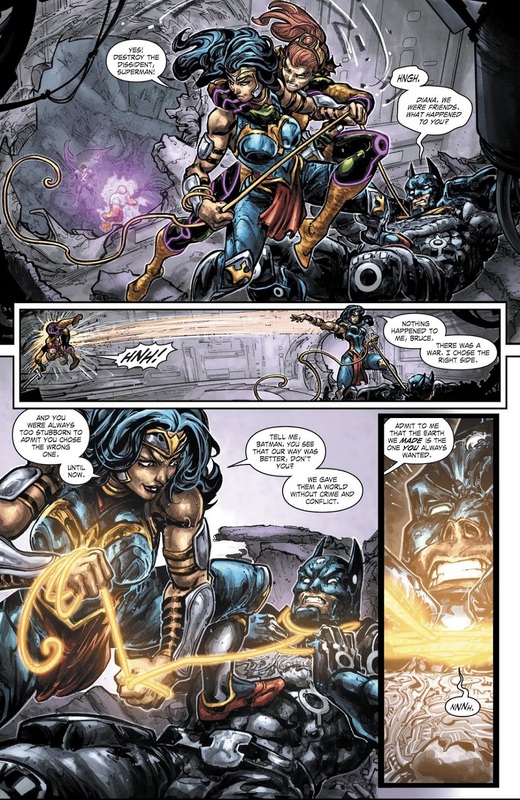 My only regret is that Diana won't be alive to see Skeletor fully betray Injustice Superman.